Lembro de toda a expectativa que o segundo filme de Matrix gerou no inicio dos anos 2000. Com uma internet bem mais lenta, vários boatos surgiam sobre qual o plot do filme, se realmente sairiam o 2 e 3 no mesmo ano. Disseram até que Jet Li estaria no segundo filme. Hoje vejo o mesmo acontecendo com o terceiro filme de Ip Man. Obviamente numa escala bem menor, mas poucos filmes e um personagem do genero artes marciais no cinema teve tanto impacto desde "O Tigre e o Dragão", vencedor de 4 oscars. I remember all the expectation that the second Matrix film generated in the early 2000. With a much slower internet, various rumors arose about which plot of the film, If would really released the second and third movie in the same year.They Have even said that Jet Li was in the second film. 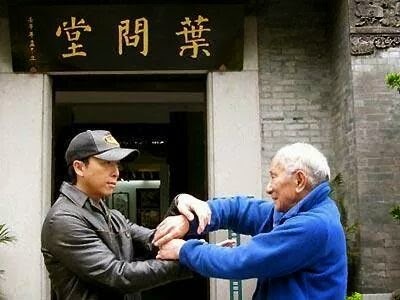 Today I see the same happening with the third Ip Man movie. 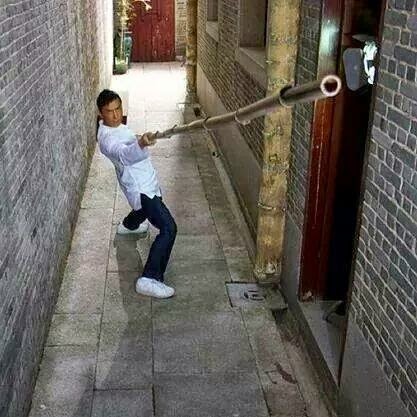 Obviously a much in a smaller scale, but no films and a character of the martial arts genre had such impact since "Crouching Tiger, Hidden Dragon", winner of 4 Oscars. Na pagina oficial do filme no facebook, o diretor do filme , Wilson Yip, está soltando vários posters não-oficiais da nova "aventura" de Ip Man sempre com a hashtag : "A gangue está de volta" em inglês. (#thegangisback). In the official page on facebook, the film's director, Wilson Yip, is releasing several unofficial posters of the new "adventure" of Ip Man always with the hashtag: "The gang is back"(#thegangisback). 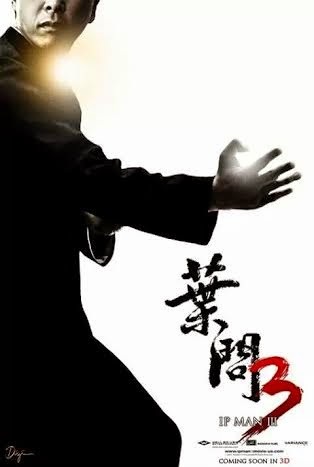 Wilson Yip está colocando isso, porque os produtores do filme não faziam questão de manter ninguém os 2 primeiros longas a não ser Donnie Yen , que interpreta Ip Man nos filmes. Donnie por sua vez, disse que não retornaria a não ser se fosse dirigido por Wilson. E os produtores acabaram cedendo. Wilson Yip's putting it because the filmmakers were not concerned to keep anyone from the first and second movies long unless Donnie Yen, who plays Ip Man in the movies. Donnie turn, He said he would not return unless it was directed by Wilson. And the producers finally gave in. "O Grande Mestre 3" estréia este ano em formato 3D prometendo (e não sei se isso é bom) muito mais ação que seus antecessores! O filme vai focar na relação entre Ip Man e seu discípulo mais famoso internacionalmente: Bruce Lee. 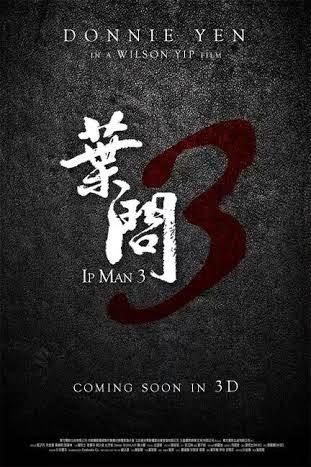 "Ip Man 3" debuts this year in 3D format promising (and do not know if this is good) a lot more action than its predecessors! The film will focus on the relationship between Ip Man and his most famous disciple internationally: Bruce Lee. Wilson Yip queria trazer esta relação desde o segundo filme. A Familia de Bruce Lee concordou de imediato, mas um contrato com outra produtora cedendo os direitos de Bruce Lee para o excelente filme "Bruce Lee , My brother", não permitiram mais do que uma rápida referencia ao astro no final do filme. Wilson Yip wanted to bring this relationship since the second film. The Family of Bruce Lee agreed immediately, but a contract with another producer giving the Bruce Lee rights to the excellent film "Bruce Lee, My Brother", did not allow more than a quick reference to the star at the end of the film. Assim que houverem mais novidades, o Blog do Pereira conta pra você! Once there are more news,The Peartree´s Blog will bring to you!